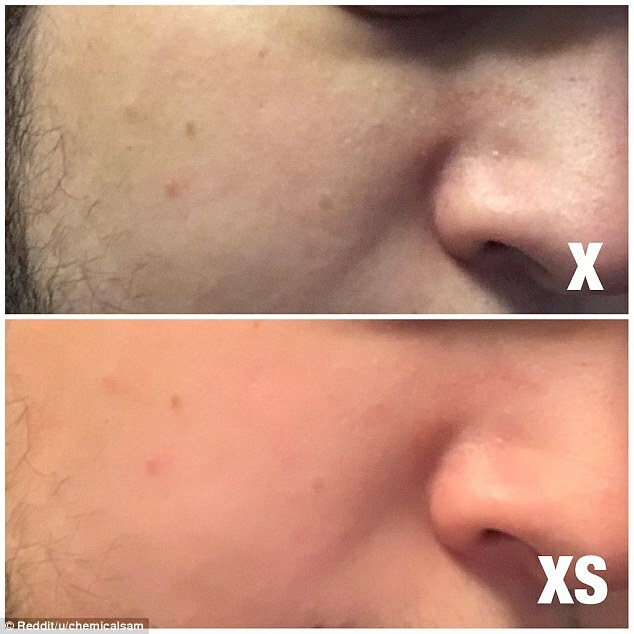 iPhone XS and XS Max users are reporting that the camera 'smoothes' their face Apple didn't include any kind of 'beauty mode' in its latest flagship smartphones It's more likely a result of the next-generation camera's noise reduction feature This can result in some blurring on the user's face, particularly in dark conditions iPhone XS owners have uncovered a peculiar effect in Apple's latest high-end handset. 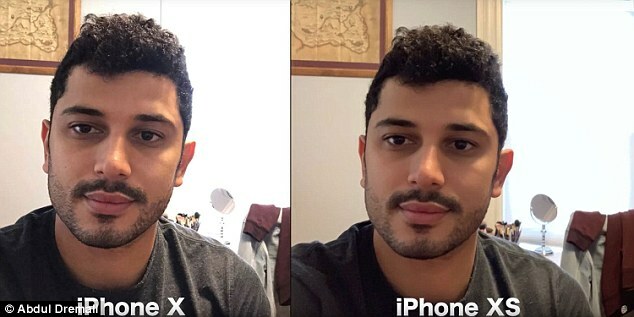 Some are reporting that the front-facing camera on the iPhone XS is making their faces appear strikingly smoother, with some claiming the photos look similar to edits applied in beauty apps like FaceTune. The mysterious effect is also present in the iPhone XS Max, which has exactly the same front-facing camera as the iPhone XS So far, it's not completely clear what's behind the smoothing effect. 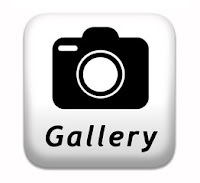 This removes some of the visual distortion present in high-resolution photos, such as graininess, by smoothing out certain elements in the photo, especially in darker conditions. However, in doing so, some users say it produces an undesirable effect that leaves their face looking like a 'porcelain doll or plastic figurine,' said tech Youtuber Lewis Hilsenteger, who posted a video to his channel 'Unbox Therapy' describing the effect. Hilsenteger even went as far as labeling it 'beautygate.' There's no evidence that Apple included any kind of beauty mode in the iPhone XS and XS Max selfie cameras, suggesting that it's more likely a result of the noise reduction features. Smart HDR is a new feature included in the iPhone XS and XS Max camera that helps capture shadow details and bright highlights.